One of the first rooms people want to tackle in their home is the family room. It’s the room where you and your loved ones get together the most. For some, it may seem like a large undertaking with making everything fit perfectly with the style, color and design your clients wants. It is important to accommodate the amount of traffic that will be in this room to match the products and material you choose. But do not worry, Blackstone Carpets has three different ways to style your clients floors to tie everything together. Let’s start with the bare minimum. Wood has come back in popularity, due to its beautiful finish and easy cleaning. Wood can give off a sense of high quality which makes it more attractive to a lot of people. You can go light with a rustic look with Rustic Cherry or you can dark with an Elm. 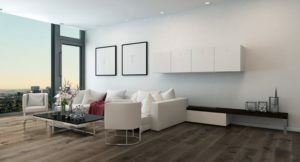 One of the down sides of wood is people may want something warm and softer to walk on but the bright side is a rug can easily fix that problem. Rugs are the perfect way to tie everything together whether it be to bring more colors in the room or to bring a neutral base.People who love wood but feel like they’re missing something should consider getting a rug. We at Blackstone’s have a variety of sizes, colors and styles to choose from. Making us positive that we can help you find something your clients can love. Either they love it or you hate it, but Blackstone’s can make sure they love it. Nylon is ideal for big traffic areas due to its cleanability, which is especially great for families with kids and pets. 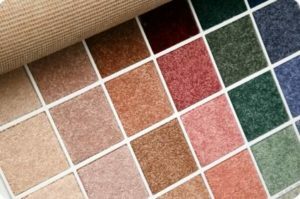 Carpet is also popular due to the fact that people want to feel relaxed with warmth under their feet in their own home. 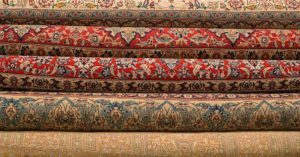 Here at Blackstone’s we have over 50,000 samples of carpets but don’t let that overwhelm you. You can easily narrow down depending on what your client is looking for. We try and make it easy for you and your clients on whatever type of flooring you are looking for. The family room ties the whole house together so let us help you tie the room together with whatever flooring you choose. Happy Designing!